When visiting Paris, you will naturally visit the Musée d’Orsay and possibly the Musée de l’Orangerie to see some of Monet and other Impressionists’ most famous works of art. However doing a Paris to Giverny day trip to visit the grounds where Claude Monet lived and painted at the end of his life and artistic career in the late 19th century, provides a whole new experience for you than simply standing in front of his paintings in a museum. 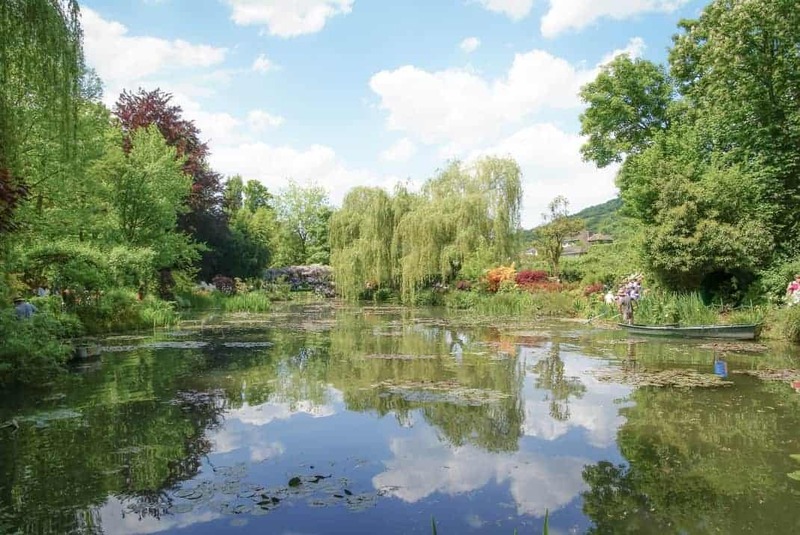 Not only is visiting Giverny an experience, it is also incredibly beautiful, so the INSIDR team has taken the time to help you get there and make your limited time in Giverny worthwhile. If you’re looking for more photo-worthy spots during your trip in Paris, don’t miss out on getting our Paris Museums Guide! How to travel to Giverny from Paris? The easiest way to travel to Giverny from Paris by train is to take a train from the Paris Saint-Lazare station to Vernon. You can buy these tickets online or in the Gare Saint-Lazare station, at either the ticket counter or from the ticket machines, provided you have a bank card with a pin code. The train from Paris to Giverny only takes about 40 minutes, from Paris Saint-Lazare to Vernon. From the Vernon station, you can then take either a shuttle bus or a taxi directly to the Claude Monet grounds where Monet’s house and gardens are located. The shuttle bus La Navette will be waiting for you outside the train station and will drop you off in the main parking lot for access to Monet’s house and gardens, after one quick stop in the town of Vernon. The bus journey takes about 20 minutes, with the taxi ride only being about 5 minutes faster. The shuttle bus costs 4€ for a single journey and 8€ for a roundtrip journey. Usually the tickets for a train from Paris to Giverny / Vernon range from 10-15€. There are many tour companies that provide coach transportation and guided visits of Claude Monet’s home and gardens. These packages range from 100-200€ and are the least cost-effective options to visit Monet’s grounds. The quickest and simplest way to arrive at Claude Monet’s house and gardens in Giverny is to drive directly there yourself, granted you have a rental car. You will take the Autoroute de Normandie from Paris and then exit towards Vernon, following the signs for Giverny. Driving to Giverny gives you the flexibility to leave when you want, not have to take a train and a bus (although both are very manageable) and if you’re feeling adventurous, travel to nearby places around Vernon! If you are an art-lover or more specifically, a lover of the Impressionists and Post-Impressionists, you can easily take a detour on your way to Giverny or back to Paris and drive to Auvers-sur-Oise and visit Van Gogh’s house and grave. It will take you one hour to drive to Auvers-sur-Oise and then another hour to drive to Giverny, whereas driving directly to Giverny from Paris takes only about 1 hour and 20 minutes. What to do for one day in Giverny? 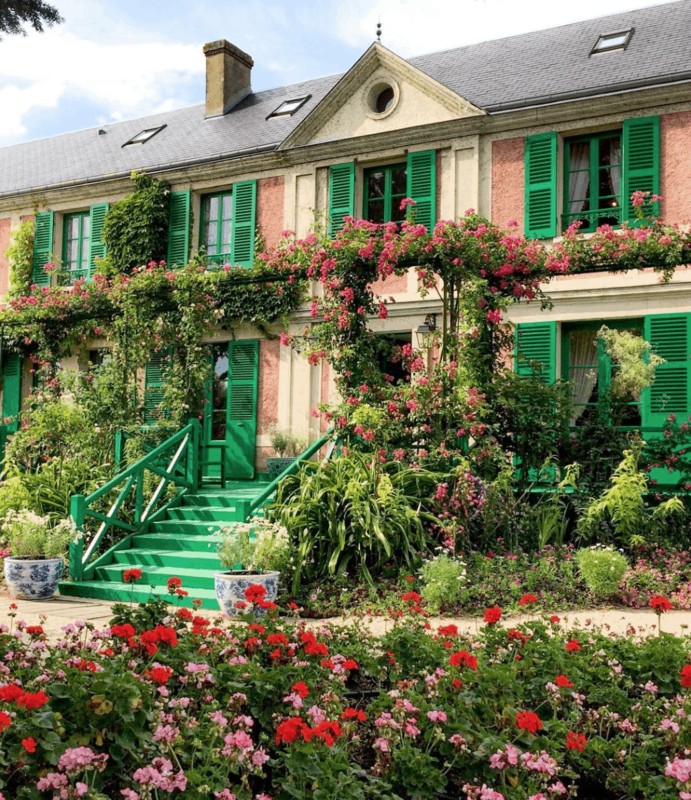 The most popular reason to travel to Giverny is to see Claude Monet’s house and gardens. But did you know that there are a couple other places worth seeing in town? We’ve marked them down in our Giverny France Map! In the gardens in front of Monet’s house you can walk in-between the beautiful flowers, under the iron arches, and around the fruit trees. In Monet’s house you will see a restored version of his kitchen, bedroom and living spaces. You will also be surprised by his collection of Japanese prints. After visiting the gardens and house, you can go admire Monet’s water gardens where the famous Japanese bridge is located. Visiting everything in the grounds shouldn’t take more than 2 hours. Admission tickets are 10.20€ for adults and 7.20€ for children and students. Children younger than 7 receive free admission. The gift shop there is also a great place to buy prints or other memorabilia to take back home. Claude Monet’s Gardens in Giverny are only open from March 25th until November 1st, 9:30am-6:00pm. 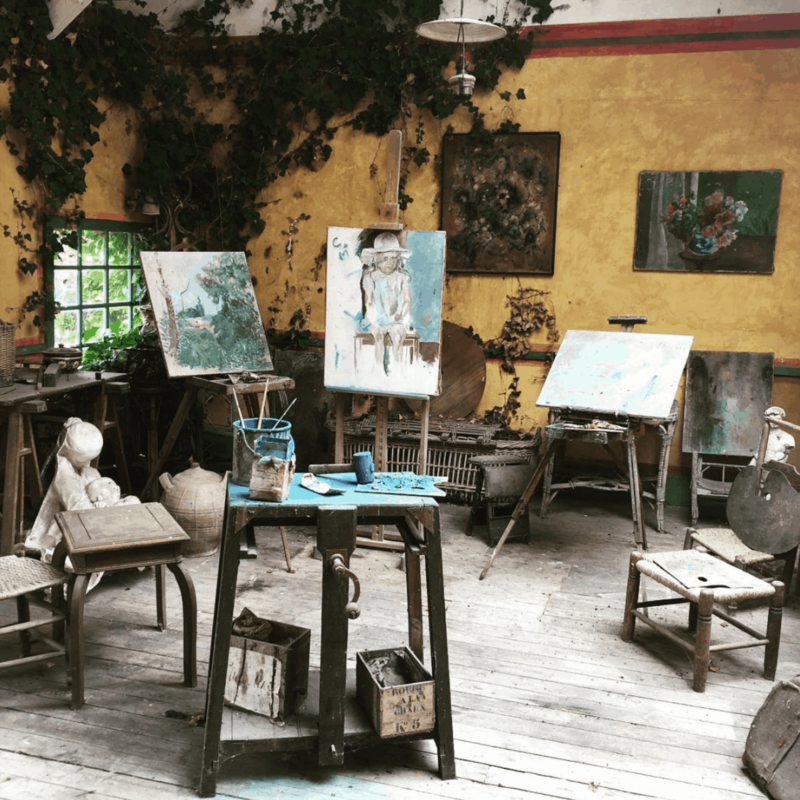 If you are looking for more to do in Giverny after your visit of Claude Monet’s Gardens, the Musée des Impressionnismes houses an impressive collection of Impressionist works just a few minutes walking distance from Claude Monet’s house and gardens. The museum always features temporary exhibitions, which this season features works by Spanish artist Joaquín Sorolla from his time in Paris. You can buy tickets online or at the ticket counter, at 7€ for adults and 4.50€ for children and students. Children younger than 7 also receive free admission here. The Musée des Impressionnismes Giverny is open from March 25th until November 6th, 10:00am-6:00pm. 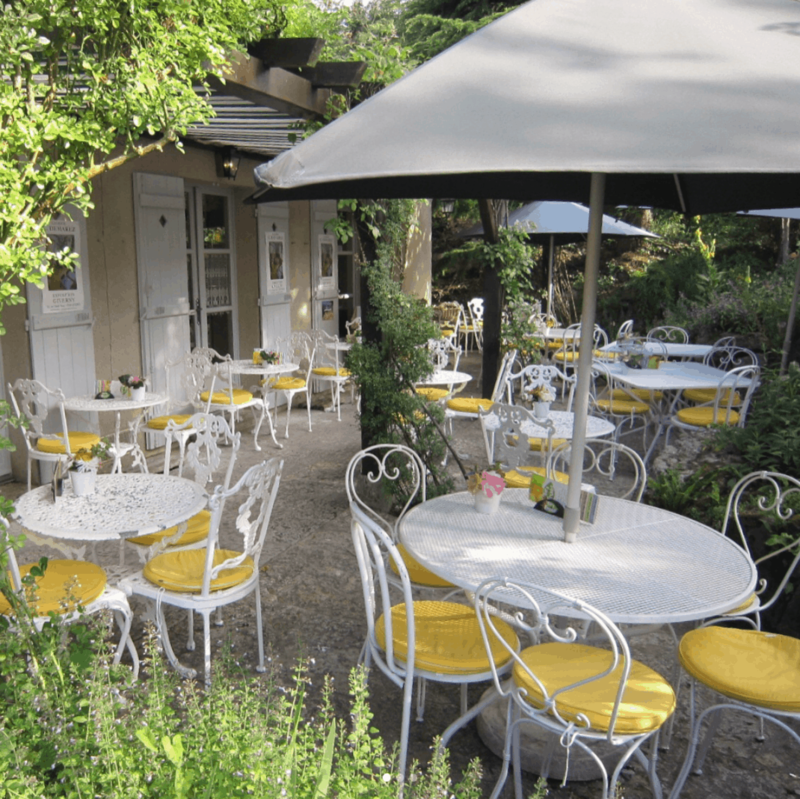 Where to eat in Giverny? Les Nymphéas Restaurant, only a few steps from Claude Monet’s house and gardens, is a charming and reasonably priced restaurant that serves light dishes such as salads and quiches, as well as daily specials of more substantial meat or fish dishes, advertised on their Monet Menu. There is a dish for every dietary restriction or desire here and lunch can also either be a quick bite before moving onto other activities in Giverny or an elongated relaxing lunch, especially if you get a seat on the terrace! 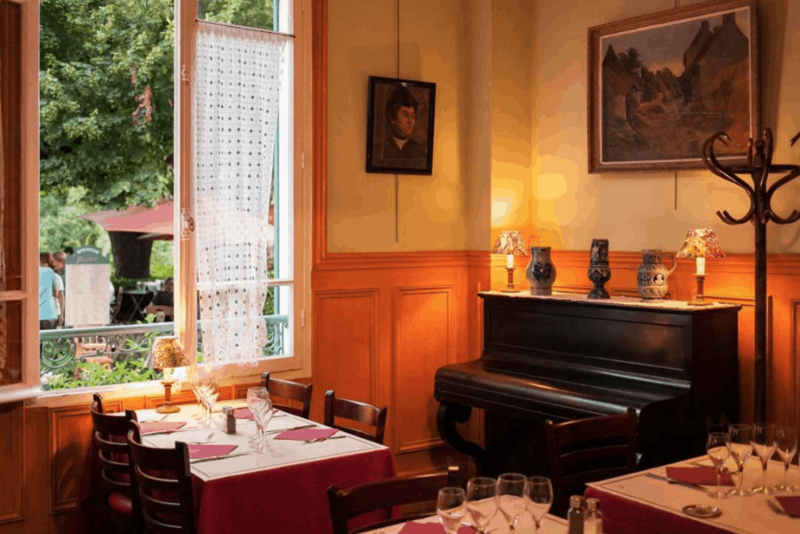 If you are looking for a restaurant with more traditional French cuisine and want to eat surrounded by 1900s decor, Hôtel Baudy Restaurant is where you should dine in Giverny. Hôtel Baudy Restaurant has a “Menu Complet” where you can get a starter, main dish and dessert for 28.50€, comprised of mostly all home-made dishes. And perhaps while the sun is still up, you can walk around the property. Nestled in the garden of Hotel Baudy is the first artist studio in Giverny where Cezanne and Monet painted.